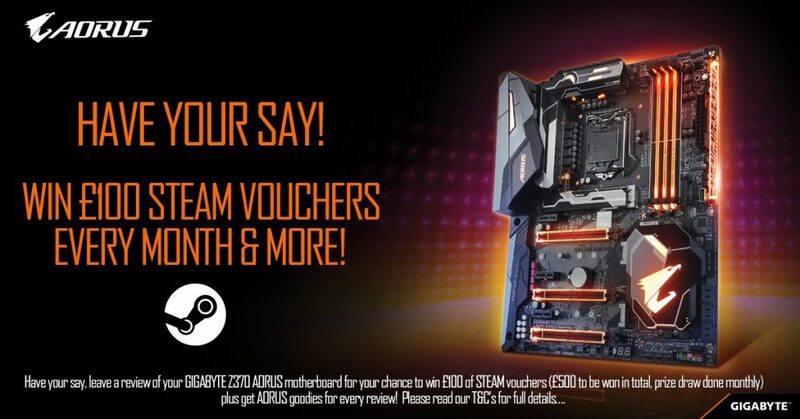 Our good friends over at Gigabyte are currently running the “Have Your Say” promotion, in which UK & Ireland residents have the chance to win £100 Steam vouchers every month by reviewing their purchase of certain Z370 motherboards. Entries are made via registering the motherboard and the online review through Gigabyte. 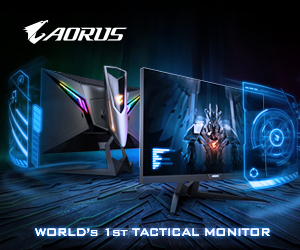 Once approved, GIGABYTE will send you your AORUS goodie (mouse pad, cap or t-shirt) and enter you into a monthly prize draw to win one of five £100 Steam codes. Promotion last until the end of the year while stocks last. 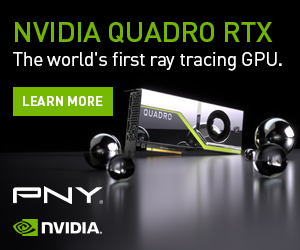 This promotion is only valid for the Z370 AORUS Gaming 7, Z370 AORUS Gaming 5, Z370 AORUS Ultra Gaming, Z370 AORUS Gaming 3 and Z370 AORUS Gaming K3, and from select retailers such as Amazon UK, CCL, eBuyer, Overclockers UK, Novatech and Scan. Of course, there is only one entry per review and per person and each entry must be of persons ages 18 and over or with parental consent. More details can be found here. This promotion is running in tandem with another of Gigabyte’s offers, in which the company is also offering up Steam Wallet for the purchase of select motherboards. After a brief read of the Terms & Conditions, it seems that customers are able to take advantage of both before that one ends on November 30th. 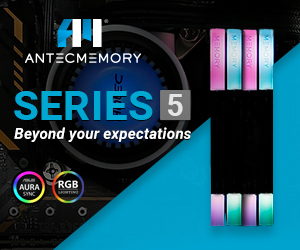 KitGuru Says: Unfortunately, it looks like I will be waiting a while longer before diving in to upgrade, but it looks like Gigabyte has you covered if you can rustle up the money. Do you plan to grab a Z370 motherboard any time soon?